DeStress Tip: Making and sticking to a decision is a source of happiness because it gives you a sense of control, of efficacy. DeStress Tip: Focus is a skill you can develop. Do you know you can rewire negative patterns?? DeStress Tip: Meditating can help develop the art of patience. DeStress Tip: Studies show that expressing anger only aggravates it. Blog Posts: Balance & Power, Inc. Success Life Coaching and Career Coaching Gift Certificates from Balance & Power, Inc.
Change Mindset for Change Timeset! PR for Ten tips to create optimal productivity, happiness and confidence! Ten tips to create optimal productivity, happiness and confidence! Do you find yourself repeating patterns that are not working? Do you find yourself going over and over in your mind how you should have handled a situation differently? 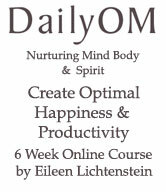 Are you losing control in your life, In your business and/or in your relationships? If you answered yes to any of the above, then You must attend this workshop!!!! Rev. Diana Moore A/K/A Light Teacher™ is a certified hypnotist, with over 25 years experience as a life coach. She is author of “The Self-Empowerment System” (as seen on TV) and originator of the Light Work System. Rev. 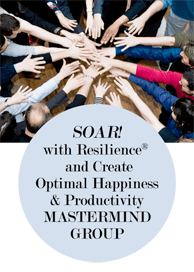 Wilma Zaltman MS Ed is a Transformation Leader, Visionary and Health Intuitive, with over 35years experience in the field of stress management. Eileen Lichtenstein, Balance & Power, Inc.